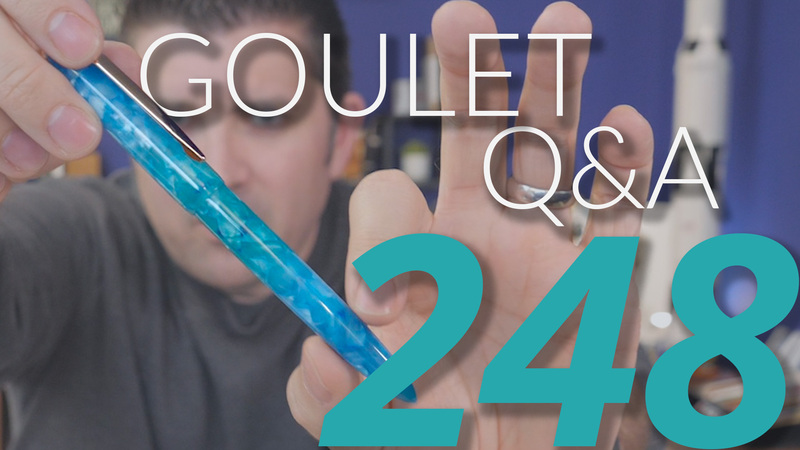 In this Goulet Q&A episode, Brian talks all about GPC to celebrate our 9th anniversary! Taking off Q&A next week bc of Thanksgiving, have a great week! We’ll be working Black Friday, though expect delays on orders from the weekend due to high volume! 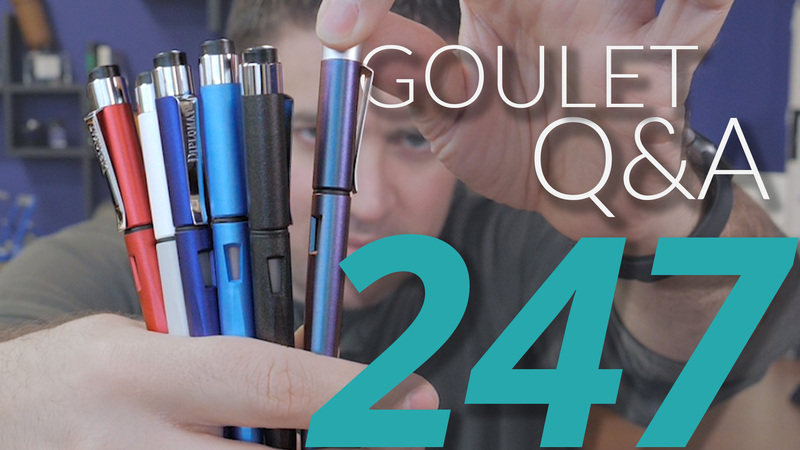 How many different models of pens you offered when you started and how many now? How do you feel when you have to exchange pens? What was the toughest business lesson you learned along the way? 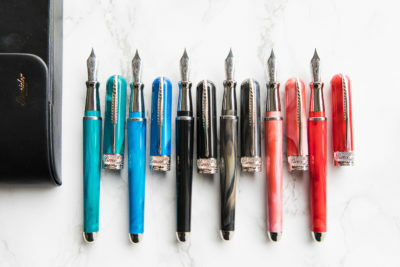 Why don’t you do pen shows? I literally just made this connection though, working shows brings me back to the early days of the business when we were not successful, so I really just don’t have great memories from it! How do you determine what reviewers to work with? 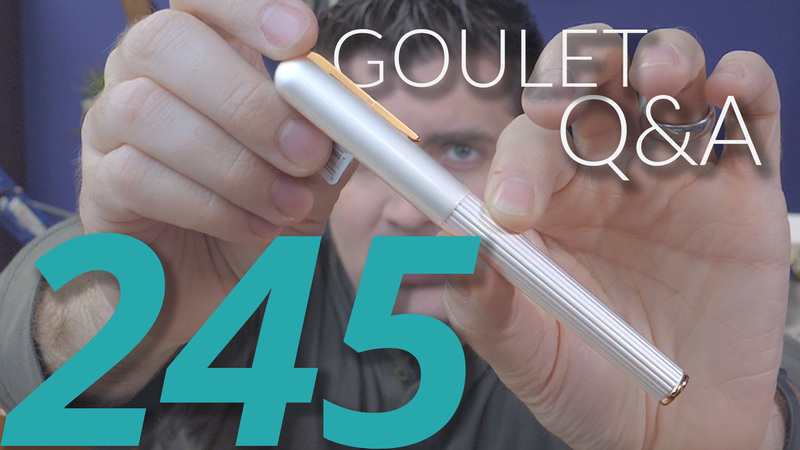 What are determining factors for what pens, inks, etc. 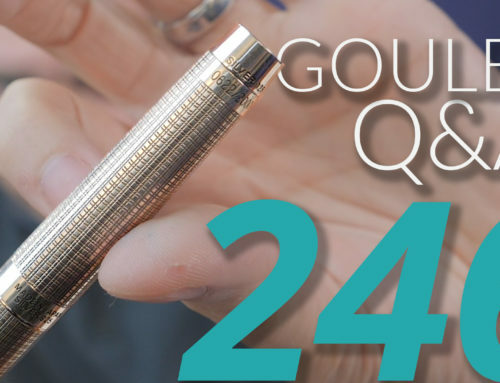 get sent out for review? What would cause you to end a relationship with a reviewer? What would be the pros and cons of having a public store area to your location? 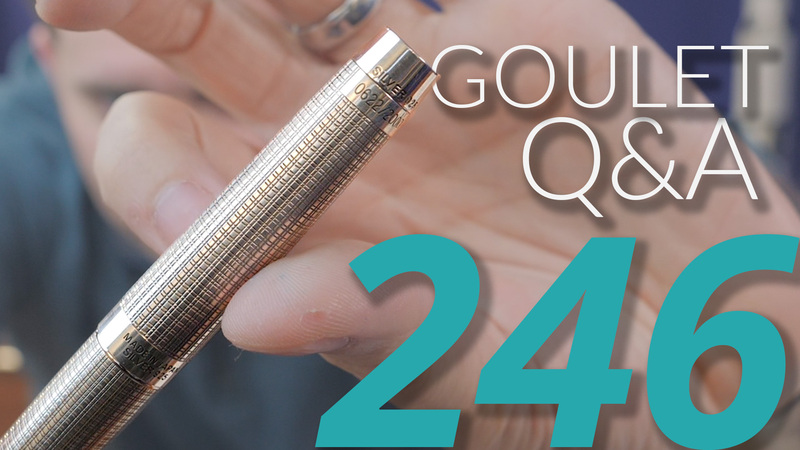 Do you think your company has caused to increase the market size for fountain pens? Was there a point where you and Rachel thought of packing it in and getting “typical” jobs? Honestly we just feel like we’re called to be doing what we’re doing, and can’t envision anything else that’d be better for us, so it’s not even something we think about! What is the advice you wish you had when you started? I understand it’s probably a long way off but I frequently have this question about family owned companies. 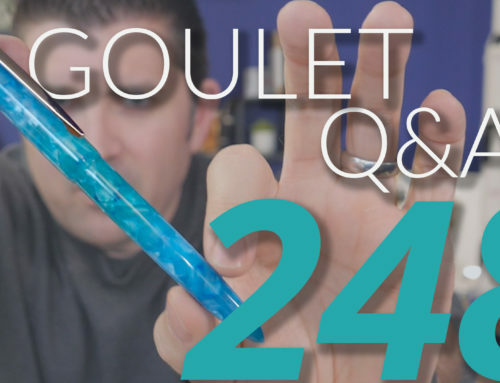 What is planned for Goulet Pens after Brian and Rachel? I know you have kids but you seem like the type of people that will support them if they choose to go another way too, is there an alternate plan? 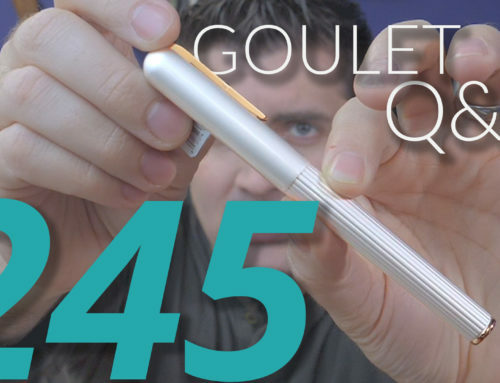 What is your proudest moment at the Goulet Pen Company? Brian: describe the feelings you got in every big change you faced (Selling pens, moving to other locations, etc.). And I mean the collective you, the family, the team, AND you personally. Do employees get a discount? And are employee purchases embargoed or rationed on some way on super-high-demand items? a lot of our team understand that if stuff is limited, so they won’t want to take away from customers! this is an ever-moving target! sometimes, especially with high-end stuff, it’s out of our hands but we’ll try! As your company has grown and flourished, have your values had to change to fit with that growth compared to when you started? Has anything stayed the same? You have done an awesome job growing a company for ten years. What does the next ten years look like? the fact I don’t know what 10 years from now looks like is actually a good thing, because whatever I could dream up now is probably more limited and less exciting than what will actually develop, so I will take things a year at a time and look back 10 years from now in amazement!